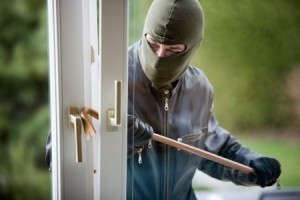 According to the latest FBI Crime Statistics, property crime is a major issue in our country today. Based on information from 11,009 law enforcement agencies property crime is the leading type of crime in all segments of the country. Burglary offenses dropped 14.0% while there was a 5.7% decrease in the number of motor vehicle thefts and a 5.6 drop in larceny-theft offenses. Law enforcement agencies in cities with populations under 10,000 inhabitants reported an average decrease of 8.9%. Meanwhile, property crime was down 11.8% in non-metropolitan counties and down 9.0% in metropolitan counties. Though the current stats indicate overall declines in in the number of violent crimes and the number of property crimes from the year ago period, this doesn’t mean they do not pose a serious threat to the safety of your property and- more importantly- your family. Having a home security system of some sort installed in your home is highly advised and effective. Installing a home security system will give you reassuring benefits to keeping safe from any dangers that might find their way to you and your home. Installing a home security system will keep you, your family and your house safe from intruders. Hardwired into your home telephone system, a burglar alarm not audibly warns intruders they should leave the premises, but also automatically notifies 911. Otherwise, intruders are allowed to break windows and thieve whatever they want.